I have noticed more than ever that I seemed to lean towards black when it comes to choosing a primary color for my outfits. While I like how black makes an outfit more sophisticated and contained, I really want to go back to my whimsical side. 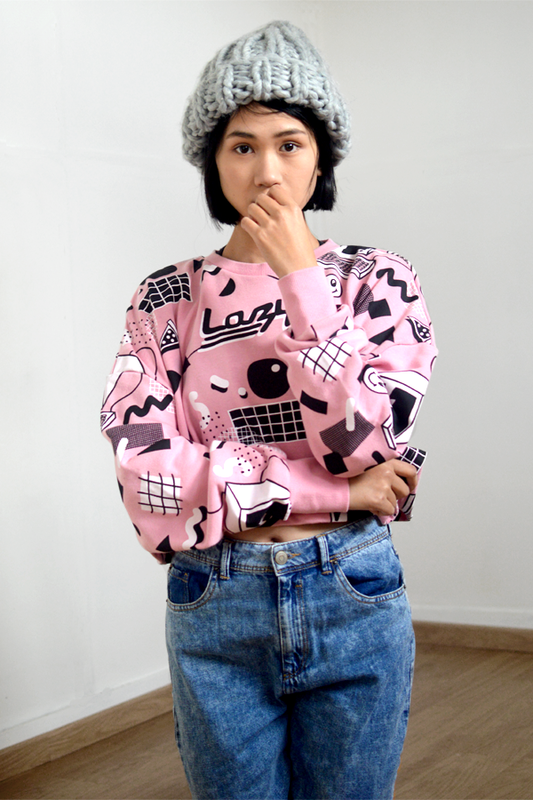 Lazy Oaf, a London streetstyle brand known for its cartoon prints, has helped me to go back to my whimsical roots! Lazy Oaf has been one of my favorite brands since god knows when. I love how the brand is all about fun and follows no trends. When I went to London, visiting the store was on my bucket list. I was absolutely stoked when I entered the store. Just a small store filled with fun printed goodness. Normally, the last thing that I would ever buy is anything pink. For some reason, pink sweaters don’t seem that off putting anymore. 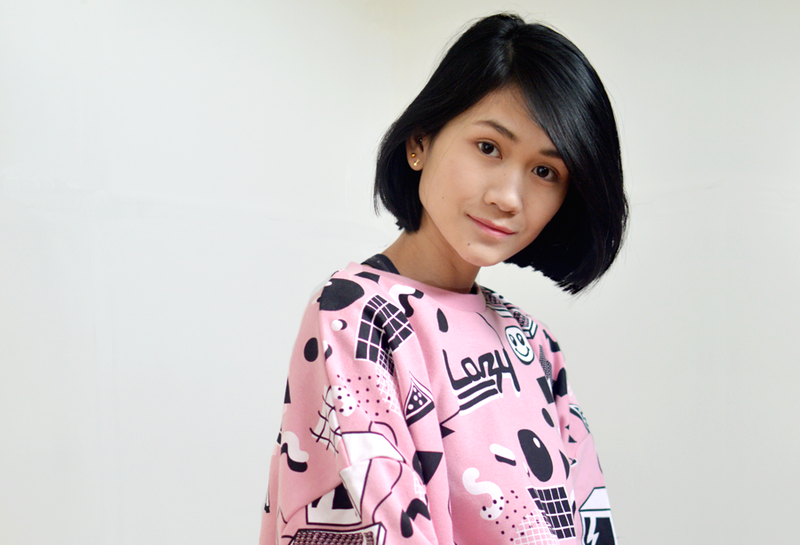 In fact, I have caught myself buying several pink clothing pieces over the last few months including this cropped Lazy Oaf sweater! This sweater is my ode saying goodbye to the cold and the dark and embracing the transition to spring (even though it is still freakishly cold outside). It doesn’t matter that I’m in a seasonal denial. It’s fashion, I can do whatever I want! You look amazing the sweater is very cool! Cute sweater ^_^ and as you, I can’t wait till spring comes!! So cute! I gotta go check out Lazy Oaf now. I love your hair so much. So clean and cool. very cute sweatshirt! I love pink!